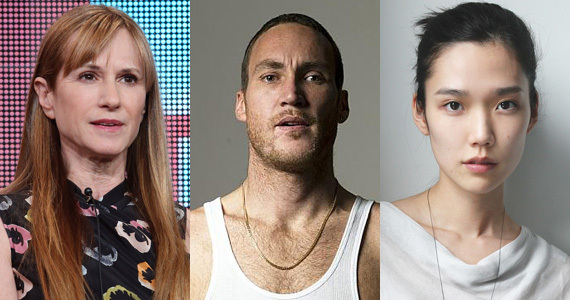 Holly Hunter (“The Piano,” “Copycat”), Callan Mulvey (“300: Rise Of An Empire,” “Captain America: The Winter Soldier”) and Tao Okamoto (“The Wolverine”) have joined the cast of the “Batman vs. Superman” film at Warner Bros. Pictures. The trio will play new characters, though specifics are being kept under wraps. They join the likes of Henry Cavill, Ben Affleck, Gal Gadot, Jesse Eisenberg, Jeremy Irons, Amy Adams, Laurence Fishburne and Diane Lane in the Zack Snyder-directed film. This follows on from yesterday’s open casting call for the film which will take place April 27th from 11 a.m. until 3 p.m., at Somerset Inn on West Big Beaver Road in Troy, Michigan. Previous articleDoombots To Appear In “Fantastic Four”? Next articleMarvel Films Planned Through 2028?